25 x British Sovereign gold coins - low premium, wholesale. 2019 British King/Queen Sovereign 22 Carat Gold Coin. These coins are in stock. The British Sovereign was initially introduced into the market in 1817, and until 1932, it was fully circulated as a British gold standard currency. 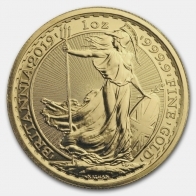 Today, the coin is primarily used as a collectible British bullion coin. 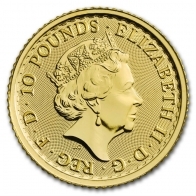 Each British Sovereign gold coin contains 7.32 grams of gold. The front of the coin features an image of the reigning British Monarch at the time of issue. The reverse of the coin features an image of King George on a horse with a sword, slaying a dragon. They year of minting is located underneath. The British Sovereign also comes in half Sovereign, quarter Sovereign and double Sovereign sizes, and is minted only in gold. Sovereigns are currently produced by the Royal Mint, although historically other mints have also produced the coin. In addition to the Sovereign, the Royal Mint also produces the British Britannia and the Queen's Beasts gold coins. 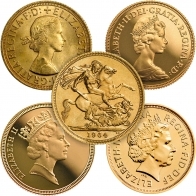 The British Sovereign gold coin is popular worldwide. Many gold investors looking to buy gold coins in small increments over time purchase Sovereigns, as they contain only 7.3 grams of gold. Furthermore, for UK residents these coins carry not capital gains tax or VAT. Check today's gold spot price here. For clients looking to sell gold sovereign coins, please contact us.